Sandy bay or Vathia Gonia is a gorgeous semi-circular cove beach with fine golden sands and crystal clear waters. There are watersports available at the beach, there is a choice of snack bars and restaurants and scuba diving is also popular in this area as there is an abundance of sealife including mussels and sea urchins. 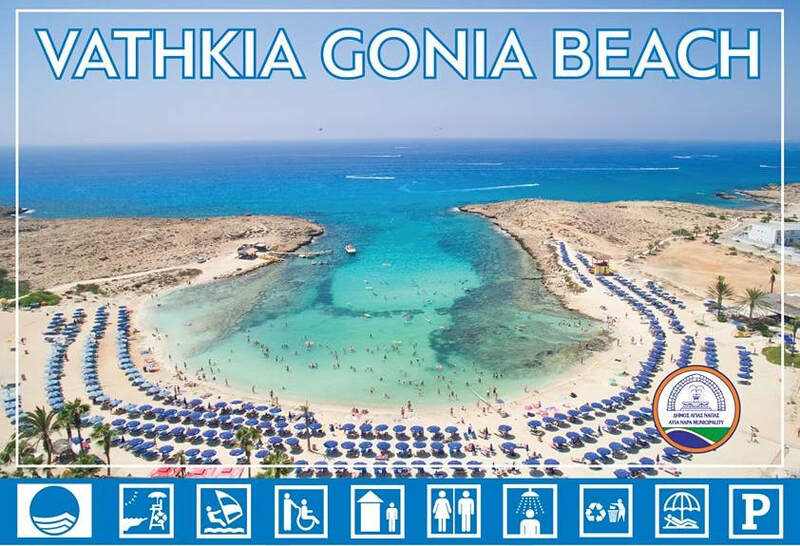 Sandy bay beach is around a 20 minute walk from the centre of Ayia Napa, just off the main road - Nissi Avenue. It's around 1km before Nissi Beach which can be reached via a walkway along the seafront.